Tibetan monk Ogyen Trinley Dorje, who has a Dominica passport, has said in a video message that he couldn’t get an Indian visa after much efforts but he hoped to “return quickly”. On the other hand Indian officials have claimed that Dorje, who has been living in the U.S for more than a year now, never applied for a visa, according to a report published in The Hindu. 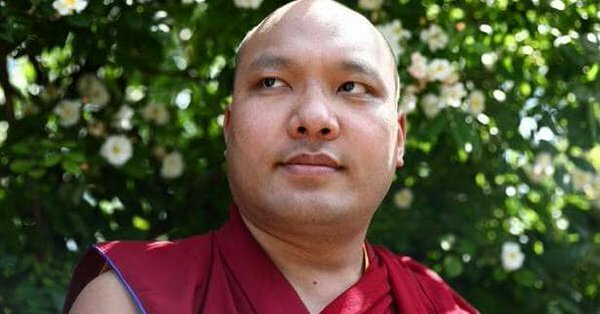 Senior government sources on said they stood by their earlier position that the government doesn’t recognise him as the “sole 17th Karmapa Lama and there are other contenders” as well. The source said that he was free to get a visa and has never in fact “presented his passport” for a visa to be granted. Diplomatic sources also said that his sister, who is his key advisor, was also briefed by the consulate officials in New York on how to fill the visa form. “He came to India on his own volition and has been living in India as a Tibetan refugee. He wanted to travel abroad and we gave him an IC. When he acquired the Dominica passport, he didn’t share the information with India. We have conveyed to him that we are ready to give him a visa on his Dominica passport, his IC is now invalid,” said the source. Clearing the air on his return to India for the first time, Dorje said that he approached the Indian consulate at New York in October and wanted to surrender the IC and get a visa on his new passport. “I wanted to meet his Holiness the Dalai Lama and also attend the religious conference to be held in Dharamsala in November. Once I got the new passport, my old document – the IC became invalidated. As soon as I got the new document, I went to the Indian embassy in New York to turn it them and further requested them to grant me a visa in my new passport, but the people in the office said they were not authorised to do so and needed to ask the offices in Delhi. After lot of back and forth, in the end it couldn’t get done,” he said in the message. Dorje is the head of the Karma Kagyu school, one of the four main schools of Tibetan Buddhism and is based at Dharamsala in Himachal Pradesh. He escaped from Tibet in 2000. He was once suspected to have links with the Chinese.